My lover is my equal. Lips undeniably sweet and plump. I cannot help but feel the pull. My lover’s body is my refuge. Our love given freely with respect and consent. Those around us cannot understand. Outside and with others we act as friends – or rather sisters. We paint our faces to make us pretty. We wear dresses so dainty. We wear contrasting colors for she is light and I am the darkness. 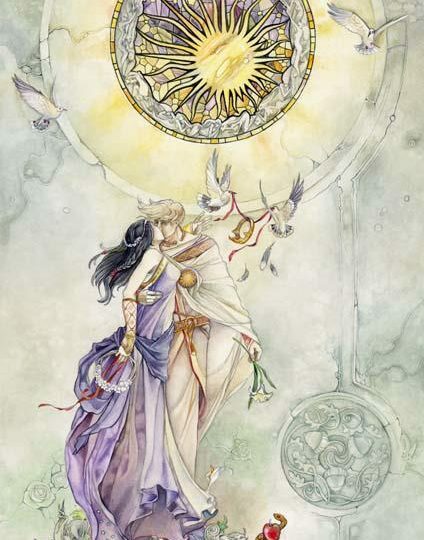 In private we are as passionate as the goddesses of love. My lover is my precious. We are both nurturing and loving. We both reach to the stars. We are with our partners but we realized on a soul level that we are the true lovers.